Alana Wood travelled from Canada to the UK to study osteopathy at the ESO. 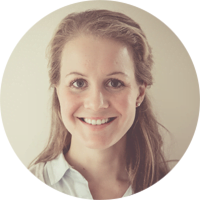 Since qualifying in 2016, Alana has practised in Belgium, specialising in the treatment of babies and children. During my final months of undergraduate study in Canada my friend called to enthusiastically share her experience in something called Osteopathy. Neither of us had heard about it, yet I was instantly intrigued. At this time I still had hesitations about which postgraduate direction to pursue so I decided to take a year off to work in a wellness centre with a French ESO graduate. Connecting with the variety of patients he saw and receiving treatment myself opened my eyes to the endless possibilities osteopathic treatment offered. At the time I did not know exactly what I was getting myself into or how osteopathy would change my life, but I did my research and followed my heart to the ESO. I was drawn to study overseas at the ESO because I was inspired by the more functional osteopathic approaches and was particularly fascinated by paediatric treatments! I flew from Canada to visit the school and instantly felt at ease with my decision. At the ESO I met my boyfriend Thomas. Initially I did not anticipate moving to Belgium, but he graduated a couple of years before me and had moved back home to practice. When it came time to making my decision it just felt right. What made you choose Paediatric Osteopathy? Thomas and I were immediately offered an opportunity to take over a practice from an osteopath, who was leaving Brussels, to set up a multidisciplinary clinic that specialised in helping children and their mothers. It was important for both of us to portray that we are qualified in treating children in order to provide better service to our local patients. The constraint was that I was feeling anxious about the French language barrier and I avoided taking on babies and children right away. It took me a couple of months to feel reassured, during which time I treated babies alongside other osteopaths, as we did in the ESO clinic environment. This gave me greater confidence in myself as these experienced osteopaths were using approaches that I was already familiar with. I also continued following paediatric courses to help me refine my skills and also perfect the language barrier. What advice would you give someone hoping to specialise in Paediatric Osteopathy? If you would like to treat children you should! There is an extremely rewarding sense when a child engages in treatment and you can listen to the depths of their tissues. The results can be immediate and you know you are doing the little one a great service. My career has been short, but some of my happiest moments are hearing parents say their baby seems completely settled after treatment. Do your best to be a part of the support system for new parents and understand that you cannot fix everything, but you can absolutely make a positive difference.